A high level of safety is provided because the autopilot is designed from the start to be able to survive individual and even multiple sensor failures. The autopilot will continue to function correctly even if GPS is lost. High precision take off and landing in adverse conditions with multiple landing logics. By taking advantage of readings from a radar or laser altimeter unit or enhaced GNSS solutions (RTK, DGNSS), the autopilot is able to maintain accurate height above ground, which can be critical for low altitude operations such as precision landing. The hardware is certified to MIL-STD-810F and MIL-STD 461F. The system is able to detect an engine failure and automatically start efficient gliding in order to maximize range and autonomy in order to reach a safe landing zone. The use of a built-in Air Data System (ADS) allows the autopilot to fly according to airspeed instead of GPS speed; this results in a more efficient flight under all possible scenarios. Also, in case of GPS signal loss (dead reckoning) or magnetometer failure, the ADS allows the aircraft to continue the operation safely. Since 2004 UAV Navigation has provided complete flight control solutions for all configurations and sizes of fixed wing platforms. Current clients around the world include manufacturers of conventional fixed wing, flying wing and blended wing designs, low speed hand-launched platforms, tandem wing UAVs, Medium Altitude Long Endurance (MALE) UAVs, High-Altitude Pseudo-Satellite (HAPS) aircraft and other types of unconventional fixed wing configurations. The system is capable of controlling all size of fixed wing design, from small <2kg electric platforms up to the largest current fixed wing UAV which has an MTOW of 1,250kg. The autopilot is able to control the aircraft safely within its flight envelope, and the system allows for different configurations to be loaded into the autopilot to allow for changing conditions (e.g. if the UAV drops a cargo and the weight of the aircraft changes mid-flight). UAV Navigation autopilots are suitable for many different platform types; the same hardware is used but different software is loaded. UAV Navigation has developed an advanced Hardware In the Loop (HIL) simulator to minimize risk during the development phase of a project and train operators in both standard and emergency procedures. A virtual model of the client's platform is used in order to produce software specifically tailored to the aircraft flight characteristics. If necessary any special requirements from the client can be developed at this stage (e.g. integration of a particular camera, other payloads or new specific functionalities in the system). 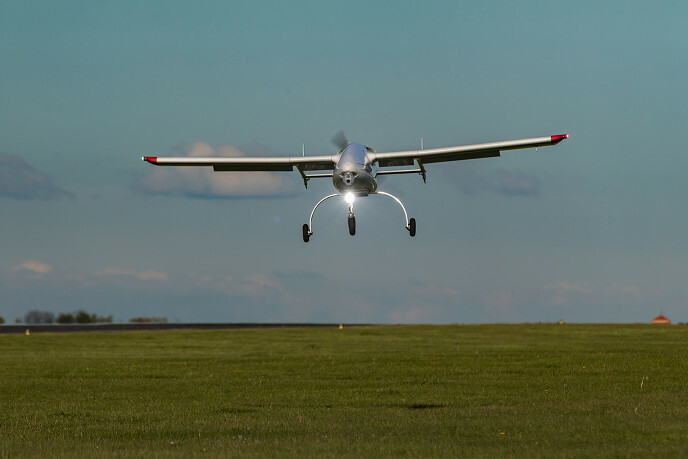 The autopilot takes care of all the basic tasks of flying the platform safely, including fully auto take-off and landing, Return-To-Base, complex flight plans including health monitoring, configurable GeoFencing etc. In addition to the basics, the autopilot can also interact with a wide variety of payloads, including complex gyro-stabilized gimbals (DST, UAV Vision, Octopus, etc. ), transponders, laser altimeters, radar altimeters and laser designators for advanced functions such as geo-referenced pointing and target tracking or perform high precision and dynamic maneuvers including moving runway take off and landing (for sea operations) or multi-UAV operations. Despite its small size, UAV Navigation's product is a complete autopilot, meaning that the unit contains all of the sensors required to fly the aircraft; no extra sensors or boxes are required other than the servos to move the control surfaces. However external sensors can be added to complement system performance such as an altimeter, fuel sensor, ECU etc. Compact unit. No external sensors, Inertial Measurement Unit (IMU) or Mission Management Computer are required - they are already integrated in the same box. Online Hard Iron Calibration. The OLHIC Algorithm ensures that the built-in magnetometer is constantly being monitored and calibrated during flight. This minimizes any accumulated in-flight error due to magnetic drift. Status monitoring and automatic emergency procedures. The system can be configured to detect unsafe situations and to deploy a Flight Termination System (FTS), or start a return to base maneuver automatically. Multiple gains settings. The autopilot can be loaded with more than one set of gains ('gains banks'). This allows automatic interpolation of gains depending on airspeed. This capability guarantees the best possible control under all flight conditions. Multi-UAV operation. The Multi-UAV capability allows the system to control multiple UAVs from a single instance of the Ground Control Station (GCS). Automation. Varying grades of automation of the control mechanism are possible (full manual, assisted manual, full auto, payload driven). Geofencing. The system features No-Fly Zones which can be updated in real time. Health monitoring. The system is capable of receiving failure alarms from other systems in the aircraft, or from the autopilot itself, and to implement an emergency recovery manoeuvre. Sea operations. The autopilot has been extensively tested in sea environments. Operation using moving flight plans (i.e. GCS onboard a ship) or landing sites are possible. The system may be configured to work with a GCS in motion. Built in capability to add third party telemetry to the autopilot's data stream. For the most demanding fixed wing applications where ultimate performance, reliability and connectivity are required, the VECTOR autopilot is the natural choice for the professional. We have worked in the UAV industry since 2004. Our track record includes many technically challenging projects and a long list of satisfied customers. Our autopilots are known for their reliability and robustness, with over 60,000 flight hours in all kinds of weather and on all kinds of platform. The cornerstone of the Company’s success is a comprehensive, in-house capability to develop Attitude & Heading Reference Systems (AHRS), flight control algorithms and to fuse the data provided by multiple sensors (GNSS, airspeed, magnetometers, gyroscopes, accelerometers etc). Our experience in the UAV industry, coupled with competitive sport aviation and other fields, has enabled us to develop an outstanding state estimator, tested in the most demanding environments. 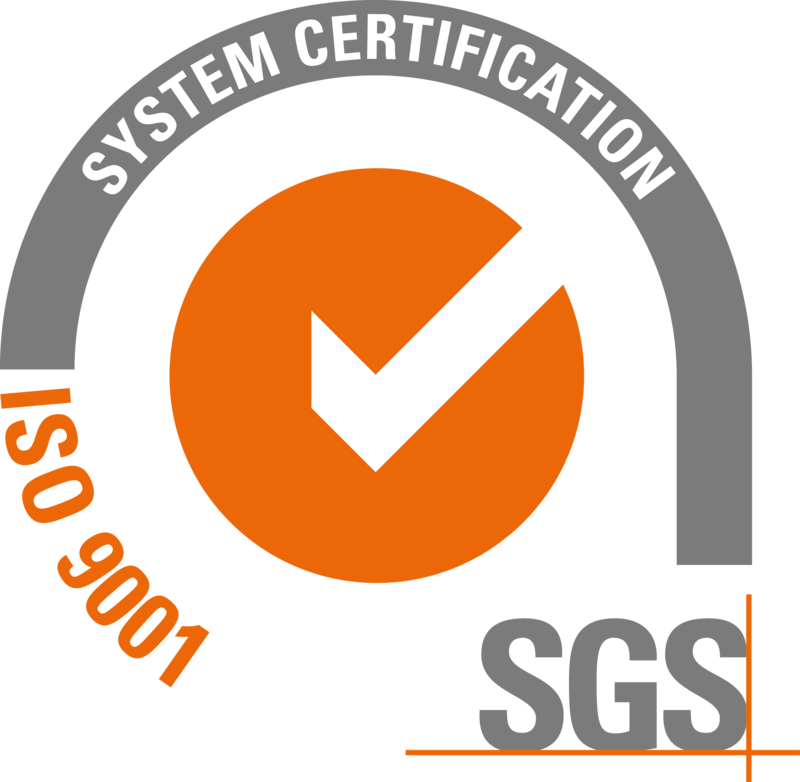 We take Quality Assurance seriously and we are qualified to ISO 9001:2015. The UAV Navigation team works within strict aerospace guidelines and procedures (DO-178C, DO-254 etc.) with an emphasis on traceability and configuration management. UAV Navigation is committed to client satisfaction, with a dedicated team of engineers available directly for technical support via a modern ticketing system. This level of support is an integral part of the Company’s hard-won reputation for the very highest levels of service and product quality. 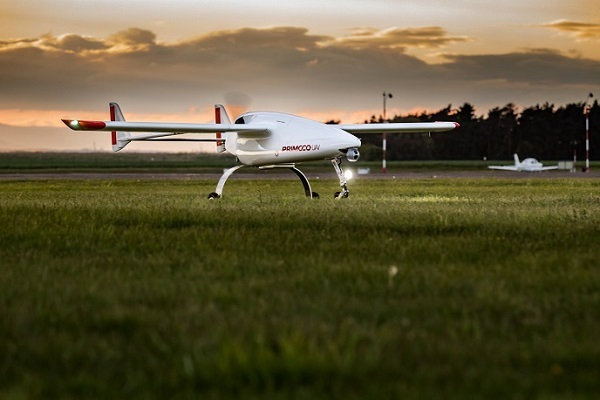 "UAV Navigation is a strategic partner for the unmanned airplanes of Primoco UAV since 2016. Collaboration is a great and great future." "The UAV Navigation team cooperate with us in a very professional way; working with them was a great experience and test flights were a success."